- The mer-kitty enamel pin is purrrr-fectly adorable. Her tail is a-twitchin', and she's ready to make some waves. 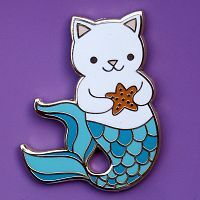 This elegant mermaid cat badge is one of our larger offerings, at 1 1/2" tall. 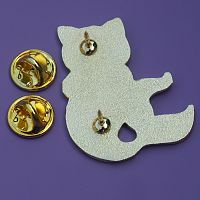 It has a gold-tone finish, and dual posts with butterfly clutch pin backs to hold it securely in place. 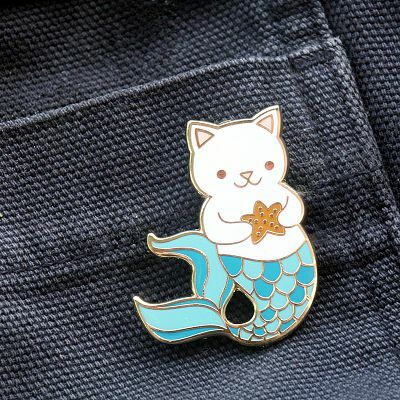 Do you have any other questions about our Mermaid Kitty Enamel Pin?